At the head of the Bridgeport Valley, Twin Lakes is the gateway to a spectacular corner of the Northern Sierra. Climbers, skiers, backpackers, fly-fishers, kayakers, and campers visit the area and travel its trails. 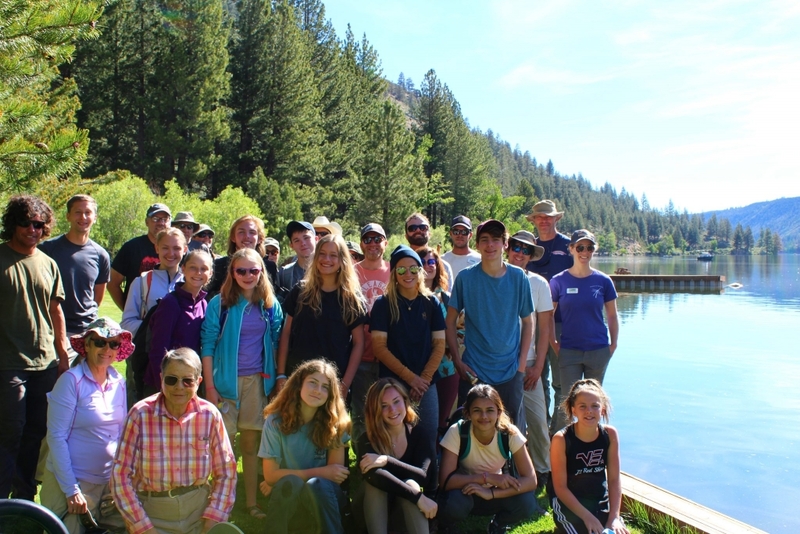 This year, we were excited to partner with Mono County and the Humboldt-Toiyabe National Forest to host the first annual Bridgeport Trails Day at Twin Lakes. Twenty-four hardy volunteers pitched in to pick up trash and fishing line, crosscut downed logs, brush the Cattle Creek trail and the Lake trail, and disguise illegal switchback cuts along the Horse Creek trail. In all, we maintained nearly 12,000 feet of trail! Many thanks to all our volunteers. We hope to see you again next summer!